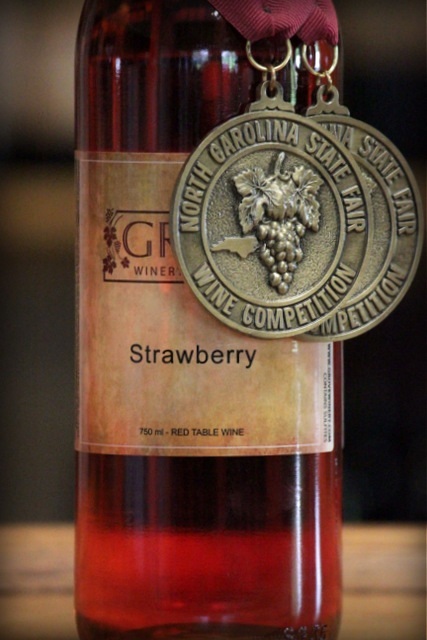 A long time favorite family recipe, this strawberry wine is a unique fruit wine made with locally grown strawberries. Finished like a French Rose. Berry flavors and a refreshing tartness. This wine is perfect for the front porch. This crispness lets it pair nicely with rich, creamy dishes, salads and dark chocolate desserts. Other awards include: the 2006 and 2008 State Fairs and the 2006, 2007, 2008, 2009, 2011 Mid-Atlantic Wine Competitions.